Valdosta Wildcats - Watch Live! 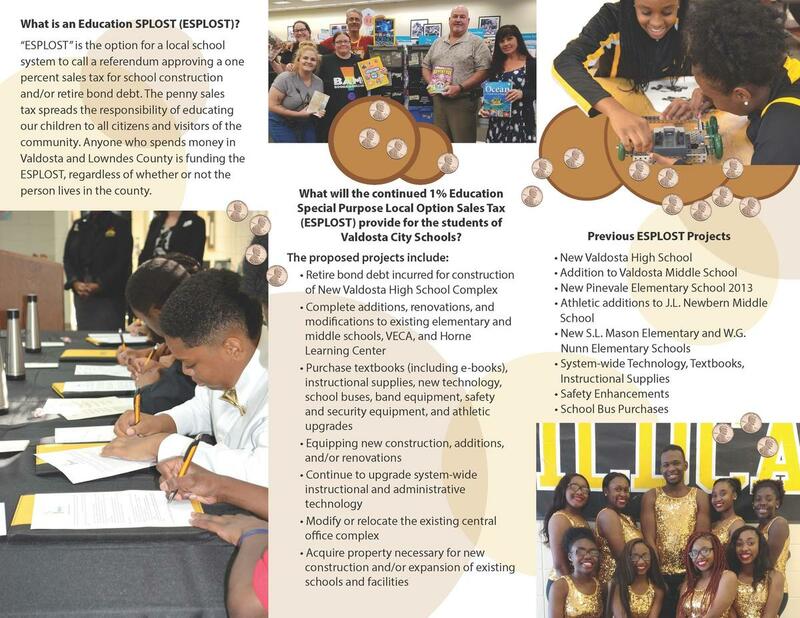 An ESPLOST is the option for a local school system to call a referendum approving a one percent sales tax for school construction/renovations and/or retire bond debt. The penny sales tax spreads the responsibility of educating our children to all citizens and visitors of the community. 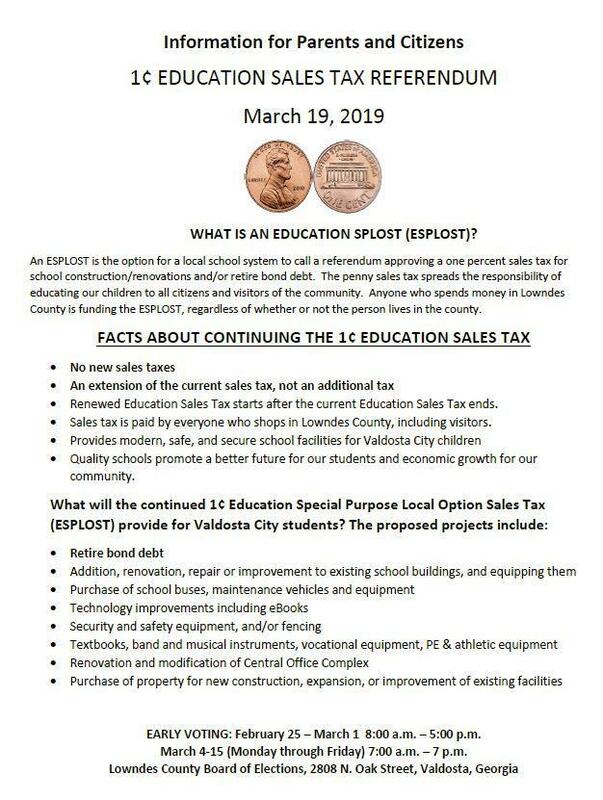 Anyone who spends money in Lowndes County is funding the ESPLOST, regardless of whether or not the person lives in the county. 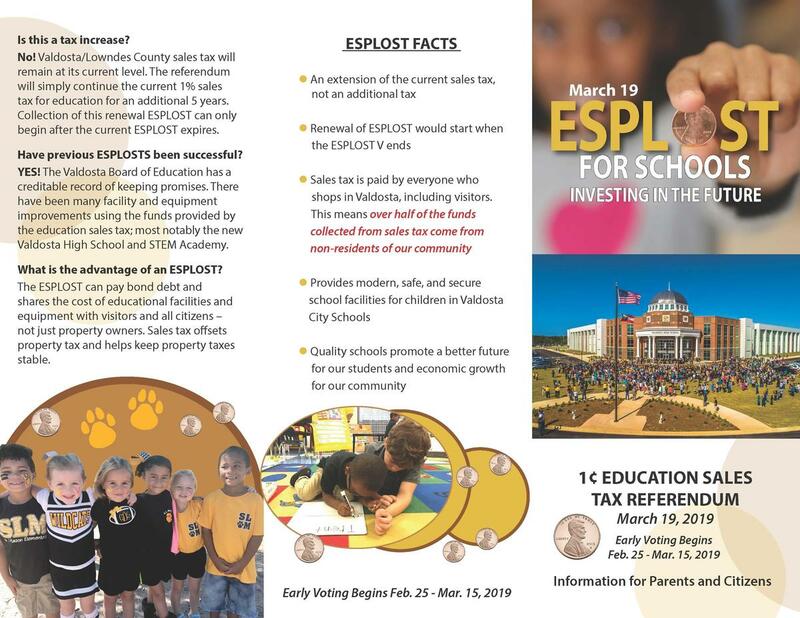  Renewed Education Sales Tax starts after the current Education Sales Tax ends.  Sales tax is paid by everyone who shops in Lowndes County, including visitors. 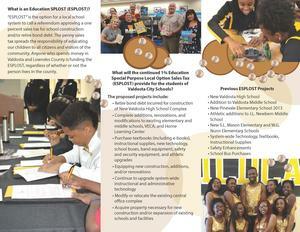  Quality schools promote a better future for our students and economic growth for our community. 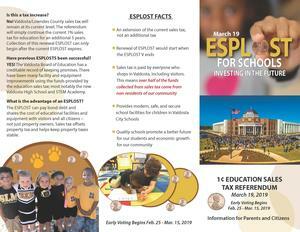 EARLY VOTING: February 25 – March 1 8:00 a.m. – 5:00 p.m.
March 4-15 (Monday through Friday) 7:00 a.m. – 7 p.m.